The process of keeping natural gas in liquid form is one that requires cold. Serious cold. -162°C to be precise; the exact temperature at which compressed methane turns to liquid, making it easier and more efficient to store and transport. Without being able to work at this temperature, facilities such as the Milford Haven terminal simply wouldn’t exist. 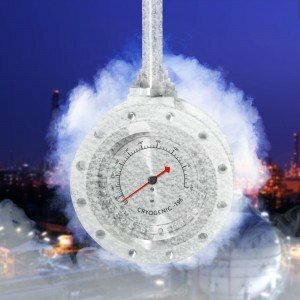 All aspects of the LPG (liquefied petroleum gas) process – conversion, storage, transport – need to be suitably equipped to cope with these extremely low temperatures (as low as -196°C in some circumstances), and that includes the valves. That’s why Hobbs Valve manufactures its range of cryogenic triple offset butterfly valves, designed to withstand the -196°C temperatures and allow for the flow and control of LNG or LPG at storage or conversion facilities. In this way, we work to ensure the safety of all operatives and LPG sites, and the long-term viability of LPG as a way of generating fuel for use across the world. To find out more about our range of cryogenic butterfly valves, please get in touch with our skilled sales team.